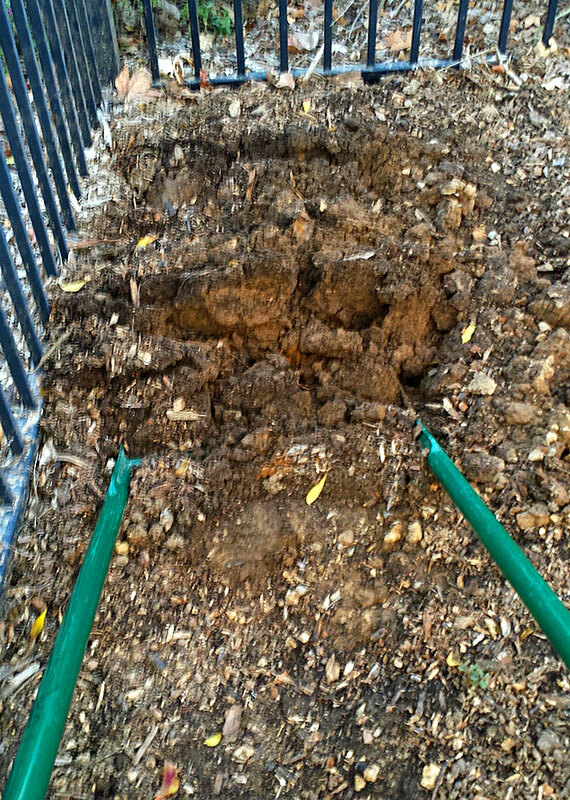 One of the main reasons plants fail to grow well and develop deep roots (and tolerate drought) is compacted soil. Compacted soil makes it difficult f237866or roots to develop properly, depriving the plant of air, water and nutrients. Ways to break up the compaction in the garden include the tools and methods below. 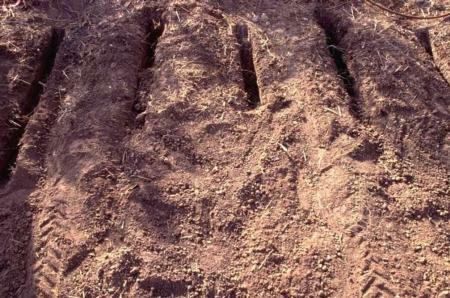 The soil should first be watered slowly and deeply, and then allowed to dry for a few days before digging deeply. Be sure to first mark out where buried pipes and wires are so they can be avoided (see http://call811.com/before-you-dig). 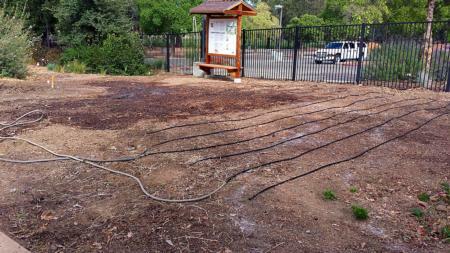 Soil being deep watered in preparation for excavating. 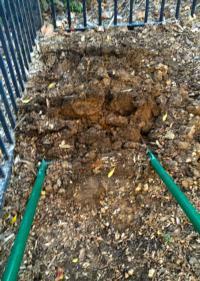 This deep spader (or broadfork) is a heavy tool used to loosen soil up to 18 inches deep. It requires bodily strength and weight to dig deep, and it needs to be pulled back a few times as the tines are pushed deeper. 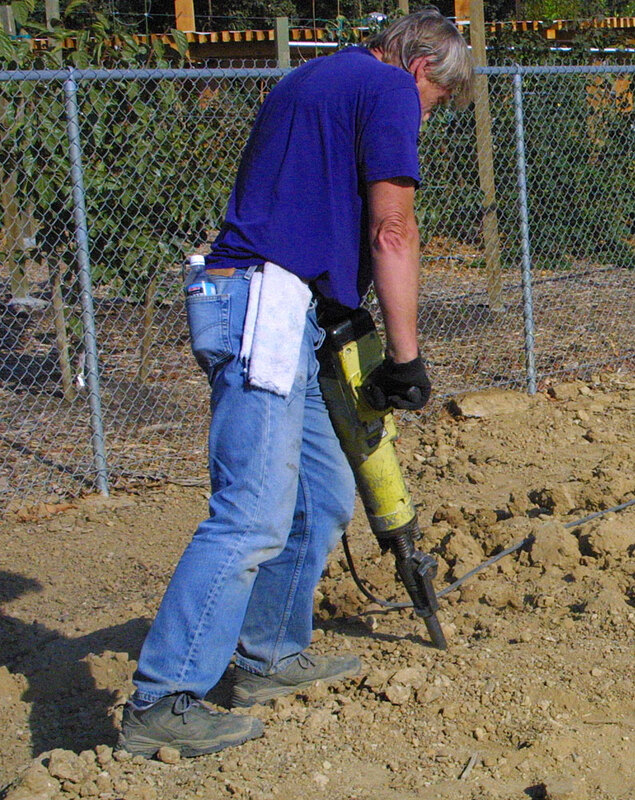 A jackhammer with spade attachment is used to break up compaction in upper soil layers when larger equipment is unavailable. It is heavy and hard to use, but with effort it can punch through compacted soil and even cemented hardpan. 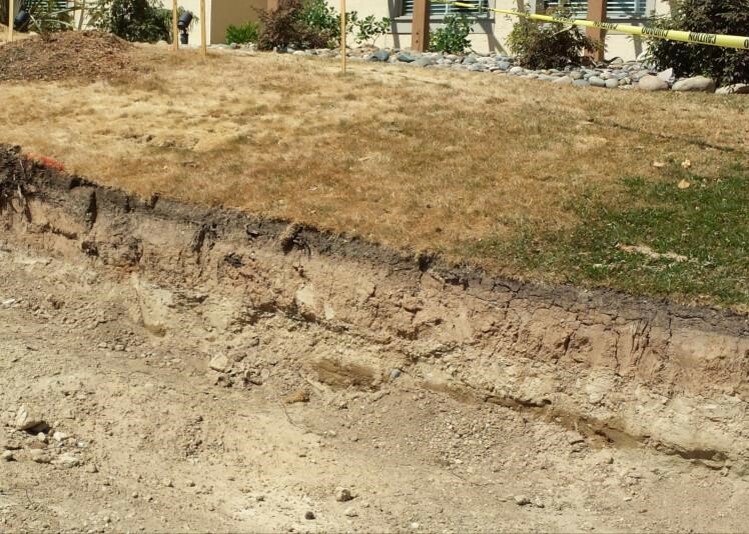 Cutting deep trenches in the soil with a trencher provides avenues for water infiltration and roots. A trencher can get down to about 2 feet deep, but rocks and large roots will make this difficult, if not impossible. Tree roots should not be cut! 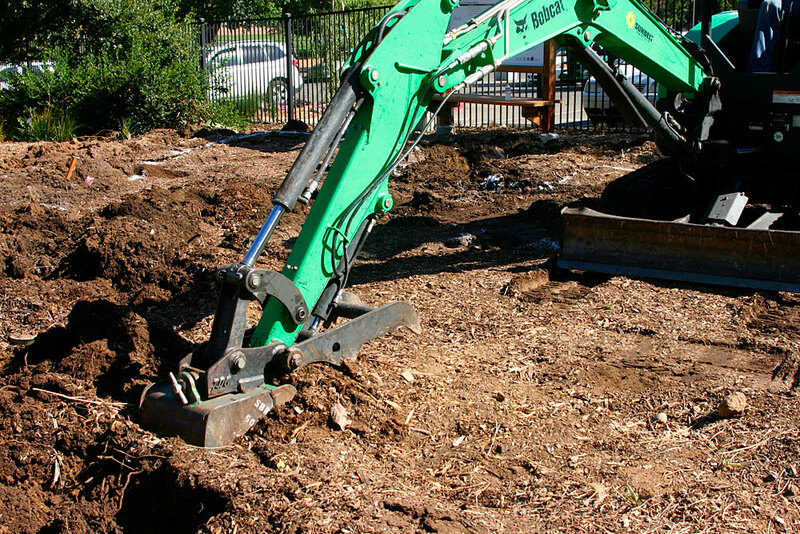 Using a rented excavator is a good way to break up compacted soil. It is expensive (several hundred dollars per day) and needs room to maneuver, but using one can greatly improve plant growth and water infiltration in compacted soils. 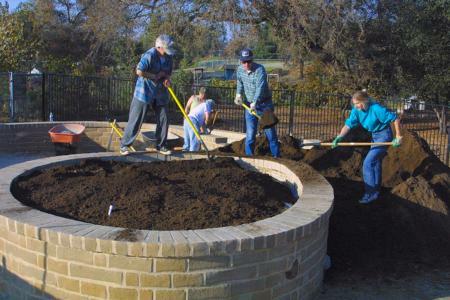 Instead of breaking up compacted soil, gardeners may create soil mounds, or build raised beds or planters. If native soil for filling the beds is not available, purchase soil from a sand and gravel company. 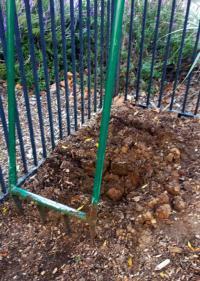 A 70/30 mixture (70 percent topsoil, generally sandy loam, and 30 percent compost) is common. 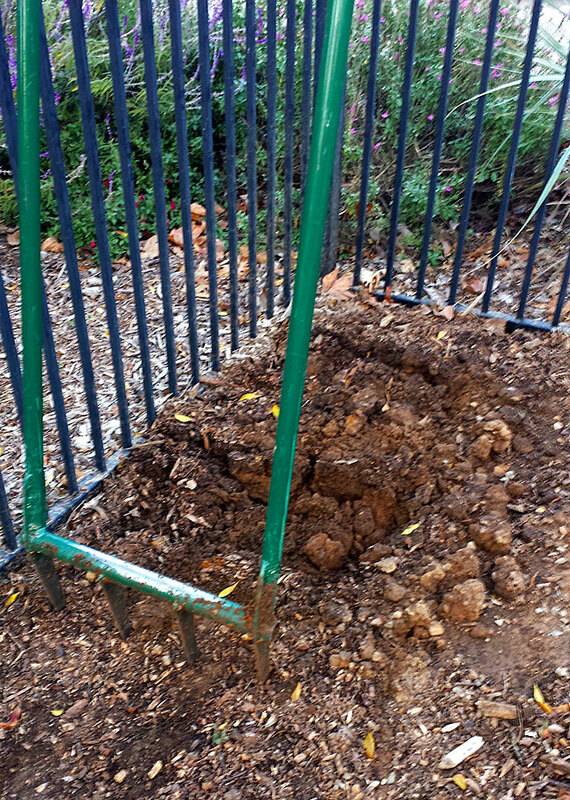 Remember that the soil will sink as microbes decompose the compost in the mixture. 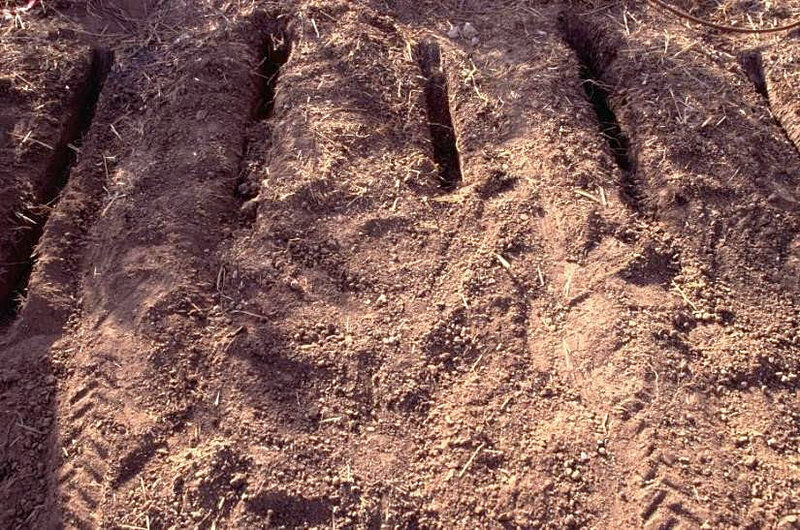 Sandy loam soil will dry out faster than clay loam soil, and rooting may be deeper in a raised planter. Because of these factors, plants in a raised planter may have different watering needs from the rest of the landscape. Consider separating plants with different watering needs on different valves (hydrozoning).